Jeff had a small, odd shaped room in his basement that was used to store his junk. 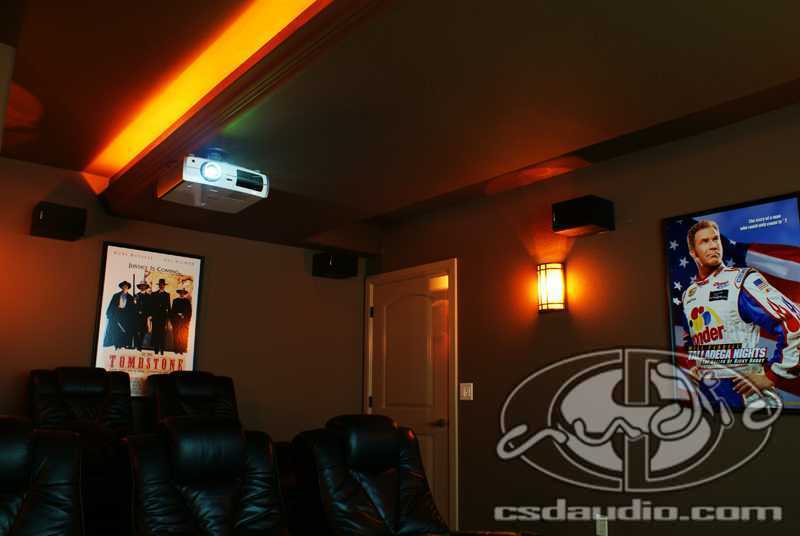 He decided it was time to make some better use of the space and we designed an amazing home theater system to repurpose the space. 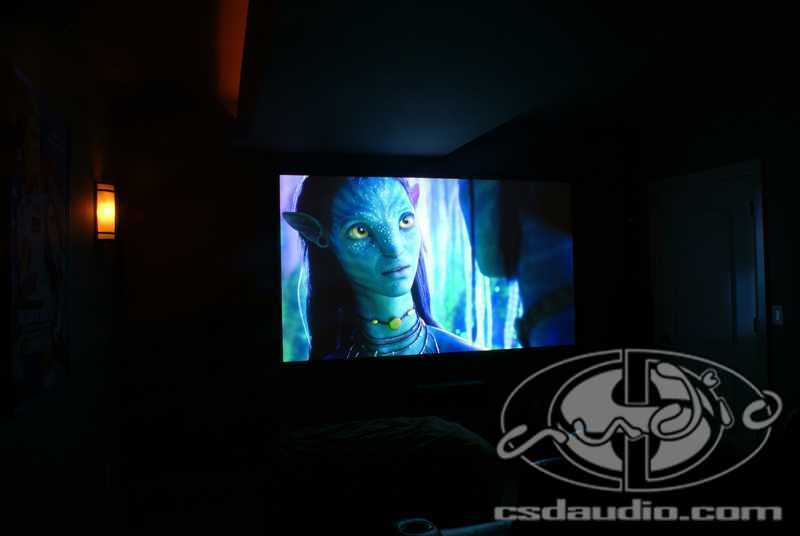 The equipment for the theater was housed in an adjoining room so we selected a universal touch screen remote with RF expansion pack for easy control. A Pioneer receiver, Toshiba Blu-Ray player were placed in an equipment rack along with satellite tv tuner. Polk speakers were mounted on the wall and a 12″ subwoofer for low frequency effects. Two levels of reclining theater seating allow a great view of the 103″ screen for everyone in the room. This formally unused space is now everyone’s favorite room in the home!